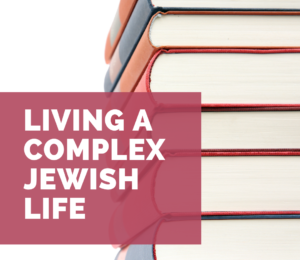 Choosing how one wants to live Jewishly can be a daunting subject. Furthermore, it can be tricky figuring out where to go to ask questions that are a bit above the Judaism 101 level, but still feels like an accessible level to ask questions when you aren't sure of the answers. This 10 session series will take a Judaism 201 approach, digging deeper than just the basics of Judaism while still being accessible for learners at multiple levels. It will explore topics from how Judaism looks around the world, how to approach studying texts Jewishly, deepening understanding of the prayer service, how to host your own seder, and so much more. This course also offers an opportunity to become an adult B'nai Mitzvah with a small community - however this portion is optional. It will include lessons on how to read Torah Trope and even deeper opportunities to read and study Jewish texts and prayers. You know the basics of Judaism but want to grow your knowledge with a small group. Are a Jew by choice and want more conversations around how to integrate Judaism meaningfully in your life. Are the partner of someone Jewish and have some background knowledge on Judaism but want to learn more. If you think it sounds interesting. 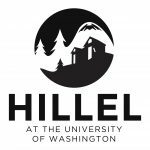 Course Costs: $25-$75 sliding scale to be discussed at first class (reach out to Rabbi Dana at rabbidana@hilleluw.org if cost is a barrier). What would you like us to know about you and your Jewish Journey?